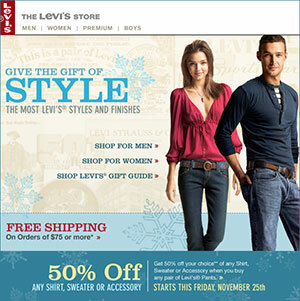 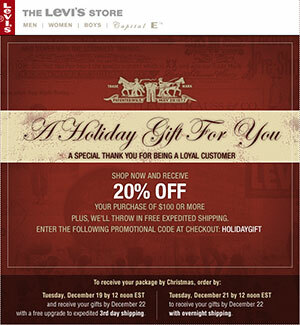 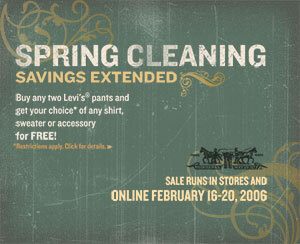 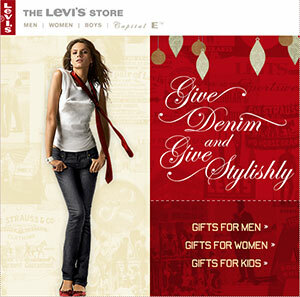 I worked for a silverlign, an agency in San Jose, one of who’s biggest client was Levi Strauss & Co. 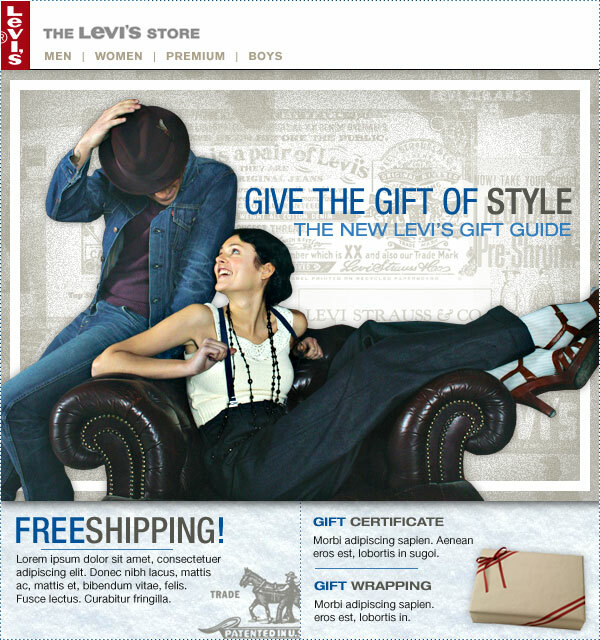 I created promotional pieces for print, emails, and the core web experience. 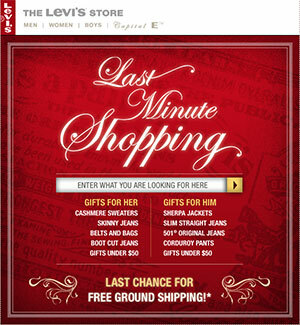 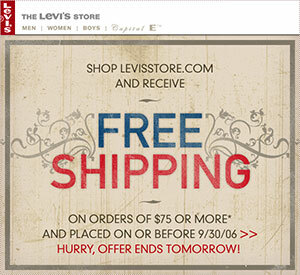 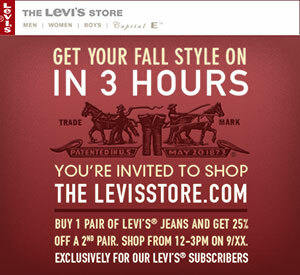 Every month I redesigned the homepage for levisstore showcasing the latest styles, products, sales and promotions. 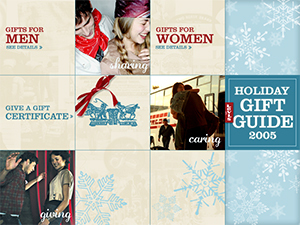 Also, every year we completely revamped the entire shopping experience, redesigning and rebuilding the store from the ground up. 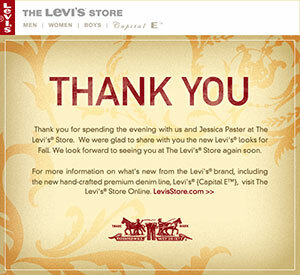 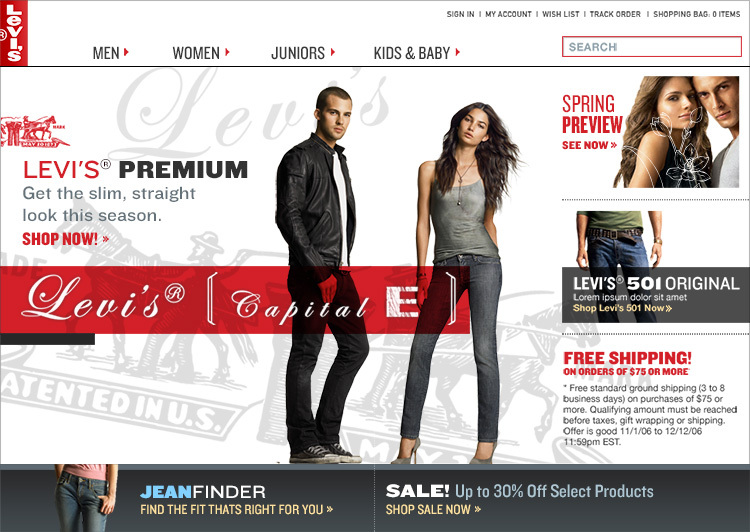 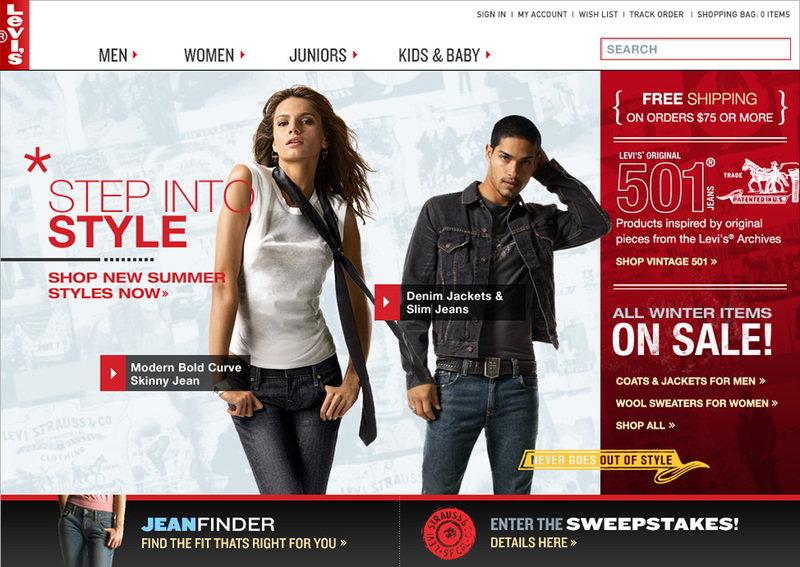 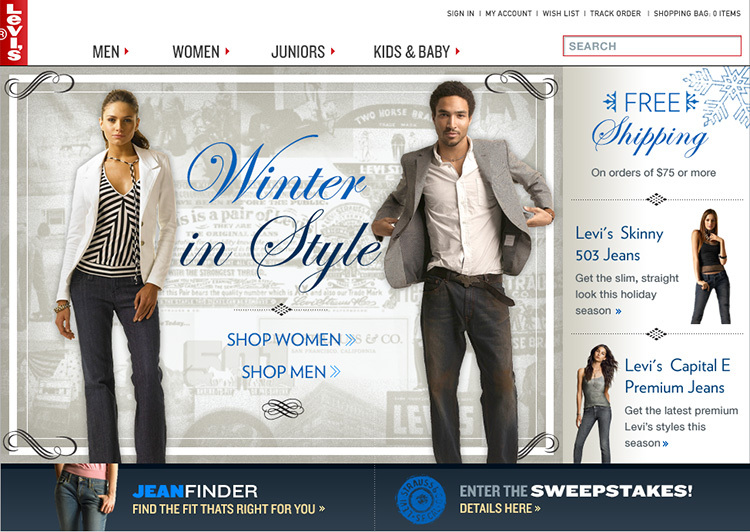 Working under two art directors and Levi’s stylists, I was the agency’s core designer for Levi’s presence online.